As a genre, answer songs have never done that well, but this was the spectacular exception. Proclaimed the pride of southern womanhood by Governor Frank Clement in 1953, Kitty Wells was born Muriel Deason in Nashville on August 30, 1919. Her early career with her husband, Johnnie Wright of Johnnie & Jack, is detailed in the notes accompanying 'The Queen Of Country Music' (Bear Family BCD 15638). 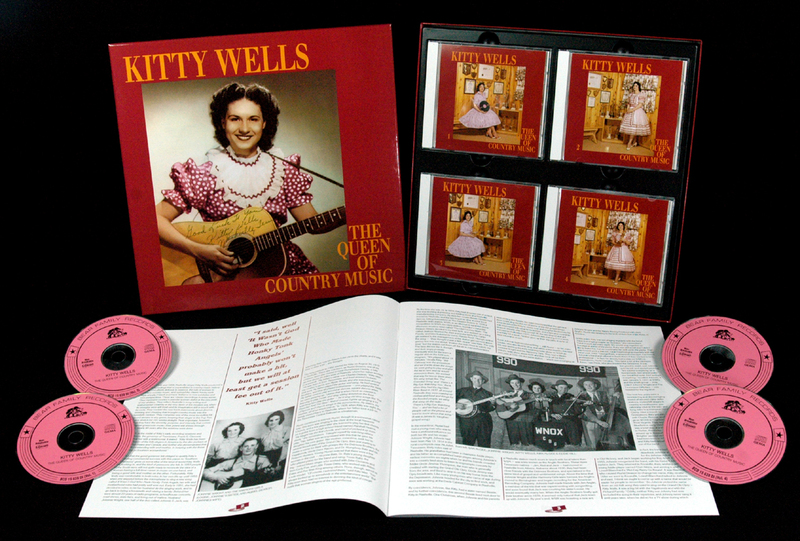 She took the stage name Kitty Wells from an 1860s parlor song by Thomas Sloan that had slipped into country music. She began recording for RCA at the same time as Johnnie & Jack, but was cut loose after two sessions. In January 1952, Johnnie & Jack and Miss Kitty moved from Shreveport back to Nashville. Tillman Franks says that Webb Pierce was the one who persuaded Paul Cohen at Decca Records to give Kitty a contract, but she doesn't remember it that way. "While we were still in Shreveport, Johnnie had me make a demo record and he sent it to [Decca's] Paul Cohen, but we didn't hear anything from him. One night, Johnnie & Jack were playing the Ernest Tubb Midnite Jamboree and happened to see Paul. Johnnie asked him if Decca was interested in recording me, and he said, 'Yes.' In fact, he had a song he wanted us to listen to." Troy Martin at Peer Music had pitched a song by Jay Miller from Crowley, Louisiana. "I was returning from a trip to Rayne," Miller told Dorothy Horstman, "and I had my car radio on. They were playing 'The Wild Side Of Life.' I'd thought of writing a sequel on several occasions, but my lyric ideas were not strong enough. On this trip a set of lyrics came into my mind. I pulled to the side of Highway 90, took a tablet I kept in my glove compartment, and began to write lyrics down." Miller, of course, knew that the melody was in the public domain so he wouldn't have to give a half share to the original composer, as was the case with most answer songs. Miller himself produced the original version by Alice 'Al' Montgomery for Feature Records. "A friend of mine came in from Nashville, heard our Feature recording and took it back with him. And the second night after he got back Kitty Wells recorded it," Miller told John Broven. Kitty Wells and Johnnie Wright were unconvinced by the song. "I said, 'Well, it probably won't be a hit, but at least we'll get a session fee out of it,'" remembered Kitty. Paul Cohen turned the session over to Owen Bradley, and it became the first major hit that Bradley produced for Cohen. The key instrument was Shot Jackson's tremulous steel guitar. "It's almost a Dobro sound," said Johnnie Wright. "but it's electric." It was recorded on May 3, 1952 when Wild Side Of Life was one week away from the #1 spot. 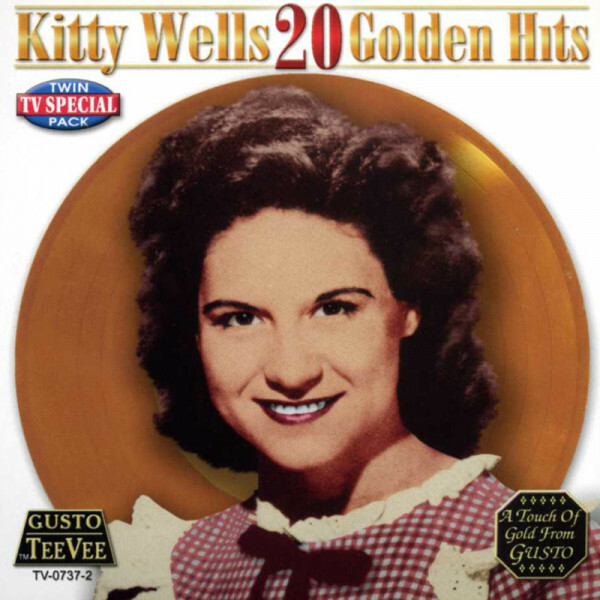 Kitty's record charted on July 19 and topped the charts on August 23. Her wounded innocence was only heightened by what would become her trademark vibrato and often awkward shyness. Dressed demurely in gingham, no one would mistake her for a home wrecker. Kundenbewertungen für "20 Golden Hits"